Native plants aren’t unfamiliar to Texans. We love springtime because our wildflowers come out in full force, and we can’t wait to take those bluebonnet photos with our loved ones. These wildflowers and other native plants do a lot more than provide a gorgeous backdrop. 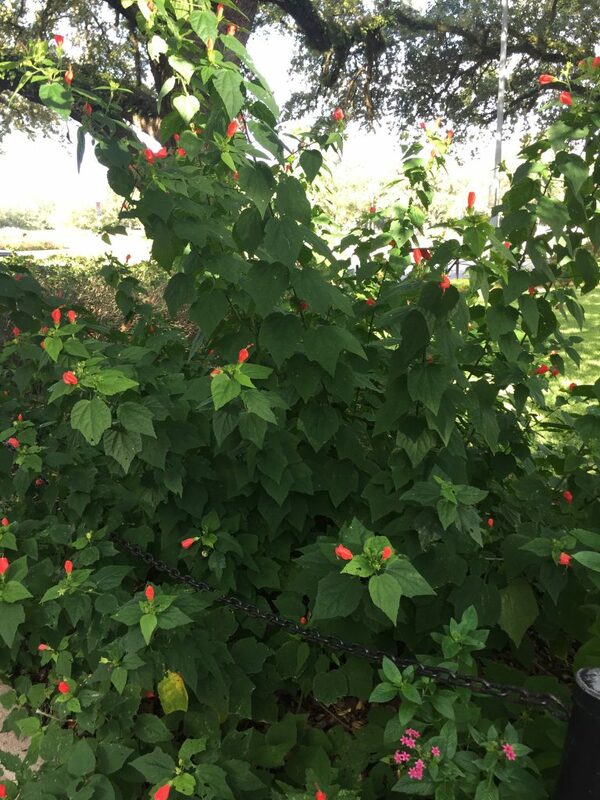 As you walk around Houston, you may notice areas of wildflowers and native plants along bayous, in neighborhood gardens or even at the Houston Museum of Natural Science. These natives help with erosion, require little maintenance, and support local wildlife. Native plants are well-adapted to growing in our unique soil, which makes them very useful for erosion control. These plants create elaborate roots systems to gain nutrients, and this vast system helps the plant stabilize the soil. The Red Turkscap (Malvaviscus arboreus), a native shrub with a dense root system, can provide relief for an area prone to erosion. It grows well in shady areas, but it is also adaptable can grow in full sun and various soil conditions. Since it is a very adaptable plant, its roots can stabilize the soil in a variety of locations to assist with erosion control. It generally grows as wide as it is tall, and its broad leaves limit the impact of water on the surface of the soil further limiting erosion. The Red Turkscap is one of many native plants that help our soil, and it produces beautiful red flower that makes it as alluring as it is helpful. When we look at native plants, one of the things that makes them so special is that they are able to grow on their own with little human help needed. 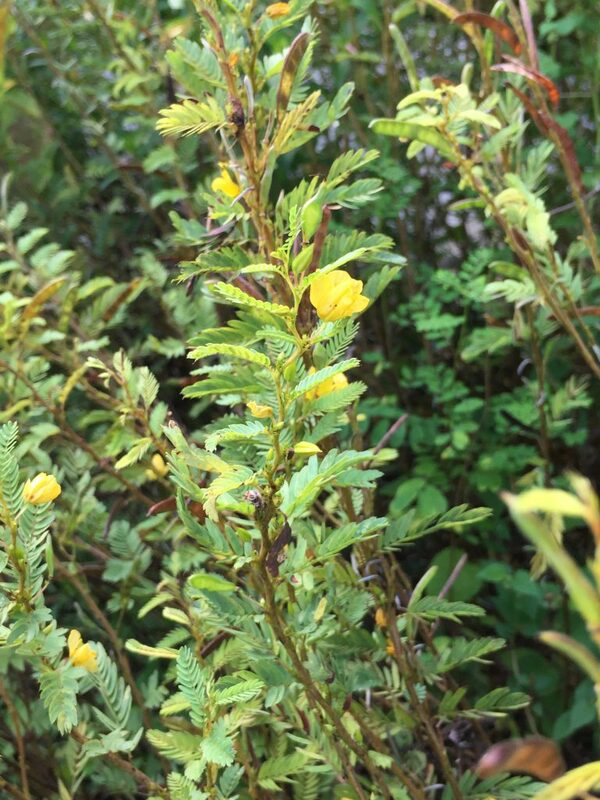 The Houston area soil is not the most ideal for plant life, but these native plants have found a way to grow and thrive without needing much water, fertilizer or pesticides once they are established. 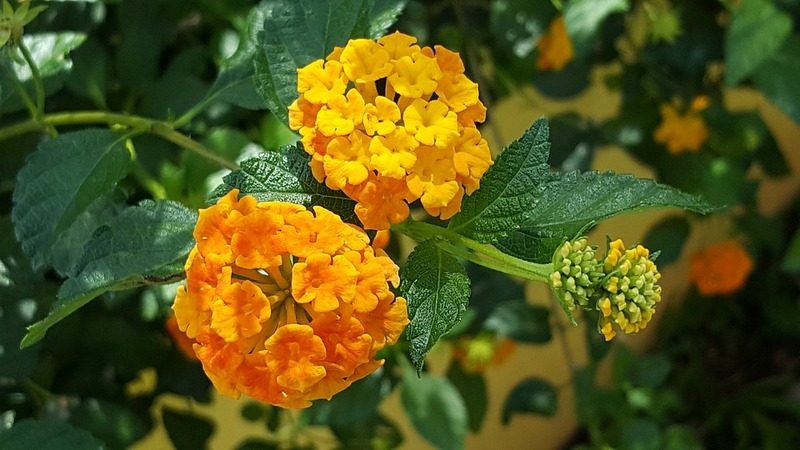 The Texas Lantana (Lantana urticoides) is a drought resistant plant that produces bright yellow and orange flowers, and makes a great addition to Houston gardens. The only maintenance required for this native is occasional trimming to keep the plant at its desired size. Most insects avoid the lantana, which means you will not have to worry much about adding pesticides to your garden. With the low maintenance Lantana, you won’t have to spend much time or money tending to your garden, and you will get a beautiful blooming perennial. In addition to erosion prevention, native plants can serve as a host plant, food source and habitat for local wildlife. At HMNS, we are very fortunate to have two butterfly gardens to support the local butterfly population at both the Main location and at HMNS in Sugar Land. Plants like the Partridge Pea (Chamaecrista fasciculata) serve as a host plant for the cloudless sulphur (Phoebis sennae) and sleepy orange (Abaeis hicippe) butterflies. These host plants provide a place for butterflies to lay their eggs and for their caterpillars to grow and develop until they enter their pupal stage and become the butterflies we know and love. The Partridge Pea also serves as a nectar plant for other species of butterflies as well as for bees and some species of ants, and it produces seeds that granivorous birds enjoy. Essentially, this one plant does a lot for local animals! Even the Texas Lantana and the Red Turkscap play a role for local wildlife. The Texas Lantana provides nectar for bees and butterflies and berries for birds, while the Red Turkscap’s flowers provide nectar for hummingbirds. If you get a chance to visit either of our butterfly gardens, you will notice numerous native plants surrounded by insects, birds, lizards and many more local wildlife residents that enjoy the habitat. Our butterfly garden is filled with native plant species and requires very little upkeep throughout the year, and for the most part, it thrives on its own! Native plants aren’t the same everywhere. Regional soils and climate affect which plants are more prolific and successful in certain habitats. For Houston and the surrounding areas, we find quite a number of native grasses and perennials that grow well in the Gulf coast prairie. Your backyard or school garden may have different conditions than the ones that helped our plants grow, so please look for native plants that work well for the type of soil, sunlight and habitats in your area! And remember the many benefits that growing native plants can provide for you, your budget and your local wildlife!